Alienware and gaming - evidently always a solid partnership. Doubts that this union might be destabilized by the full integration of Alienware into the Dell Company can now, after the first offspring of this alliance, be invalidated. 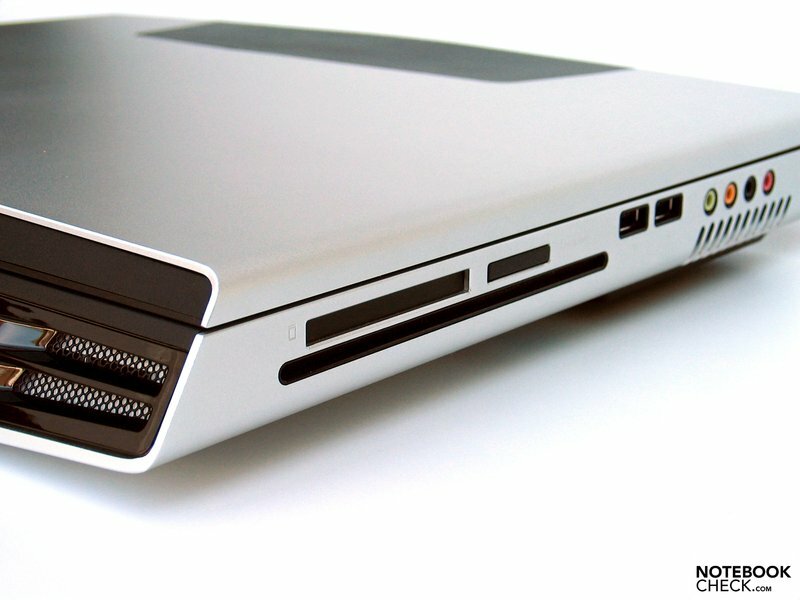 A stylish aluminum giant with two Nvidia Geforce GTX 280M graphic cards and an overclockable QX9300 CPU @ 3.06 GHz ex-factory faces us. Let the game begin! We have already accosted many aspects of the high-class-gamer in a hands-on pre-review. A comprehensive report as well as numerous measurements and benchmarks to complement this first impression now follows. An aluminum sheet of several millimeters thickness provides for the unique design, as well as for an absolutely impressive stability (our test model in the Lunar Silver design), which has been folded around the device in origami-style. 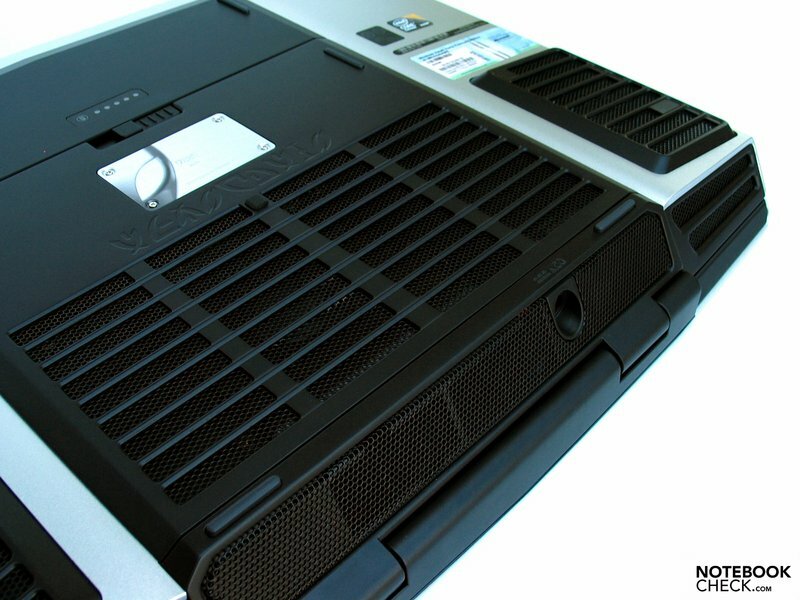 Consequently, the Alienware M17x receives a sheer non-deformable case tray and an equally stable display lid. Plastic has been used for the inside but this also makes a very high qualitative impression. Manufacturing flaws could only be noted in somewhat irregular gaps, if at all. The good overall impression wasn't affected by this by any means. 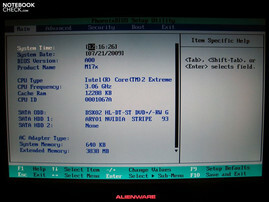 A main feature is the, still known from the earlier days of Alienware, Command Center, which allows for a whole range of settings. The notebook's lighting control has been advanced. 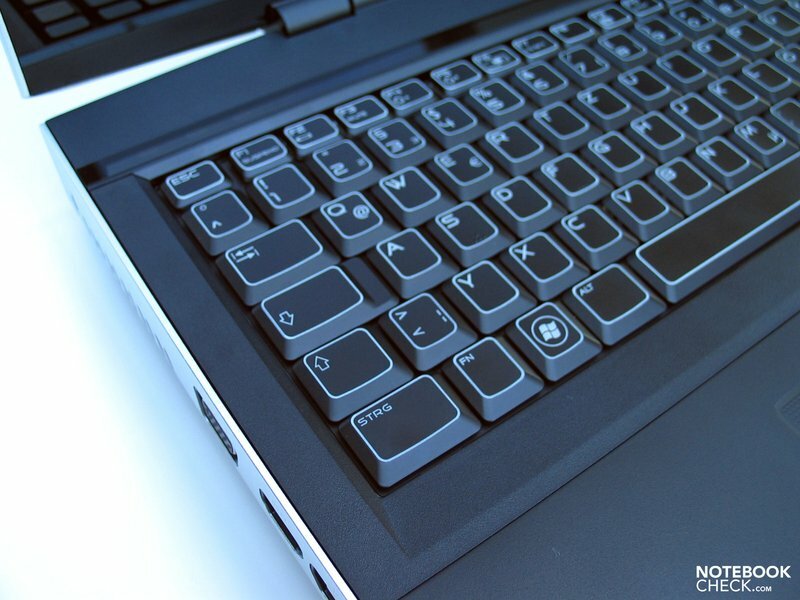 It's therefore possible to individualize the keyboard's backlight into a total of four zones, the touchpad, the loudspeakers, the power button and the illuminated Alienware lettering. 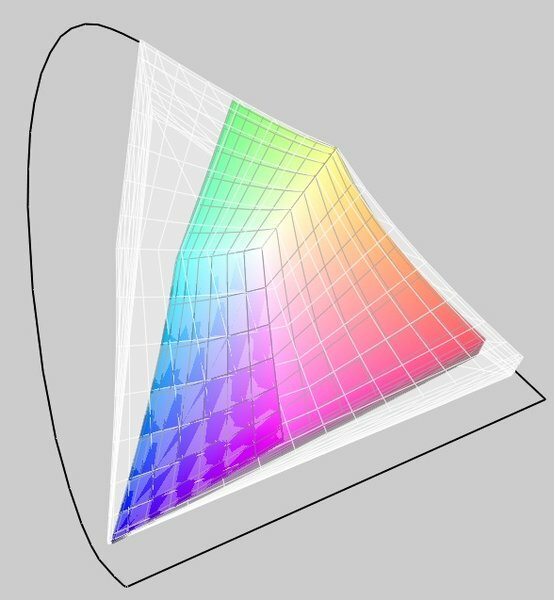 There are a total of 20 different color nuances to choose from, which the integrated RGB LEDs can ultimately reproduce. No matter if dominating red or even in a colorful rainbow look - there are barely any limits set to creativity. Aside from that, under the tags Fusion, Touch and Sense a whole range of further settings can be made, such as various security levels, the touchpad sensitivity or even energy profile management. In view of the case, a further point should be mentioned: The weight. 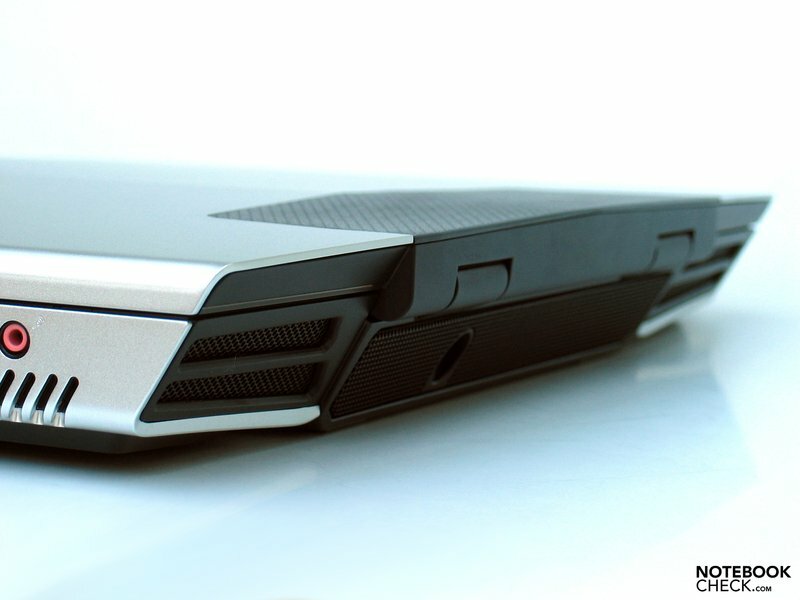 The Alienware M17x weighs a proud 5750 grams. A weight of 1080 grams has to be added for the adapter, which has turned out agreeably narrow and can therefore be stowed away easily. This adds up to a total travel weight of almost 7 kilograms. This is okay for occasional trips to various LAN parties, but the device is only fit for limited mobile surfing at home or on the go. As already mentioned in the hands-on, the built-in ports are restricted to the left and right side edges, with exception of the power supply on the back. Special importance is placed on the left side, where all image and video sockets, the LAN and two USB ports have been positioned in the center to the front area. 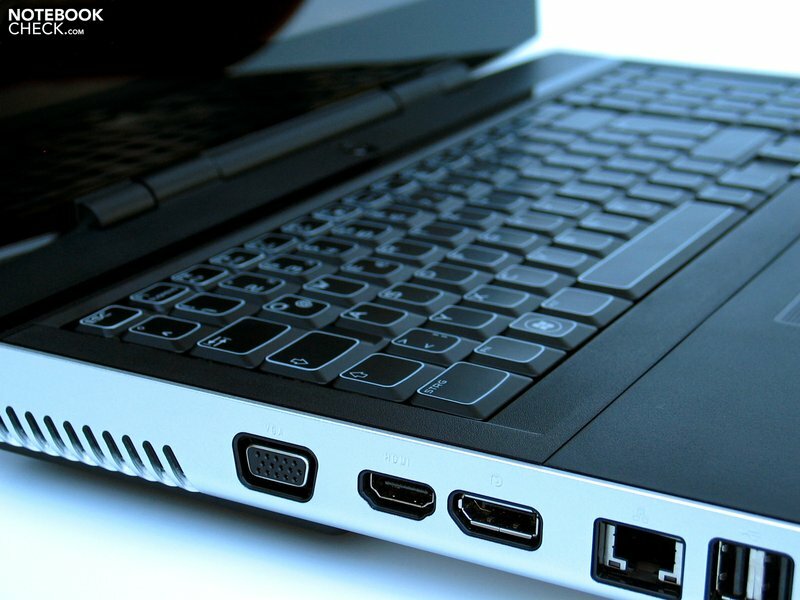 Therefore, the occupation of the video-out and the LAN port will produce a somewhat disagreeable situation for lefties, as it is well-possible that the mouse, or rather the hand, often will collide with the connected plugs and cables. Righties have a significant advantage because the built-in slot-in drive on the right side edge keeps the front half unfettered from disturbing ports. The connectivity itself is to be evaluated as pleasantly comprehensive. Barely anything is left to be desired with an HDMI, display port, eSATA, Firewire, surround sound and a total of 4 USB ports. Of course they didn't skimp on communication features, either. The Gigabit Ethernet (Nvidia nForce 10/100/100), advancing more and more to a general standard, is found in the device just like WLAN a/g/draft-n (Broadcom). Communication with various wireless peripheral devices (mouse, keyboard, mobile phone, headset...) isn't a problem either, thanks to an integrated Bluetooth 2.1 + EDR module. 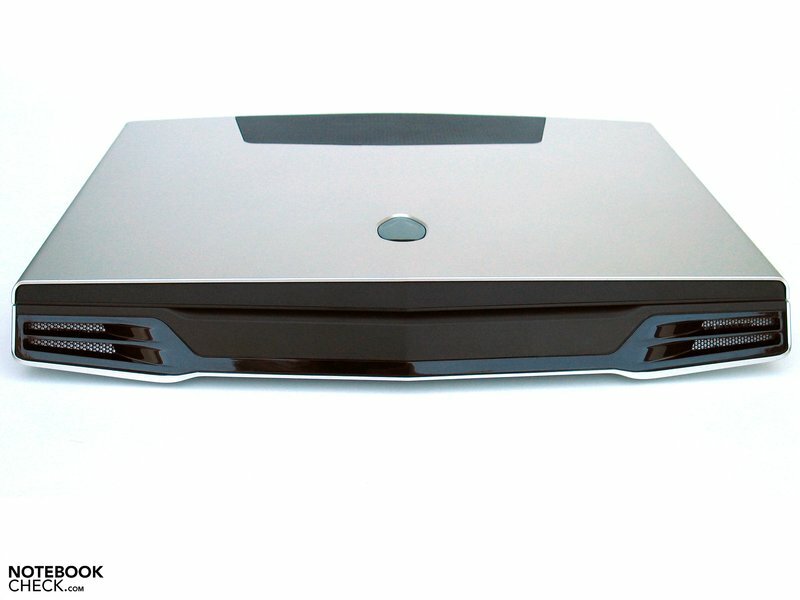 The M17x also bids an optional BluRay drive (+140.00 Euros), an integrated Webcam (2MP) as well as an 8-in-1 media cardreader as further equipment. Aside from the possibility to choose from three different colors/designs (Space Black, Nebula Red, Lunar Silver), Alienware also has further options for individualizing the notebook. An old acquaintance is the laser-engraved metal plate on the notebook's bottom side, in which an inscription of choice can be burnt-in. 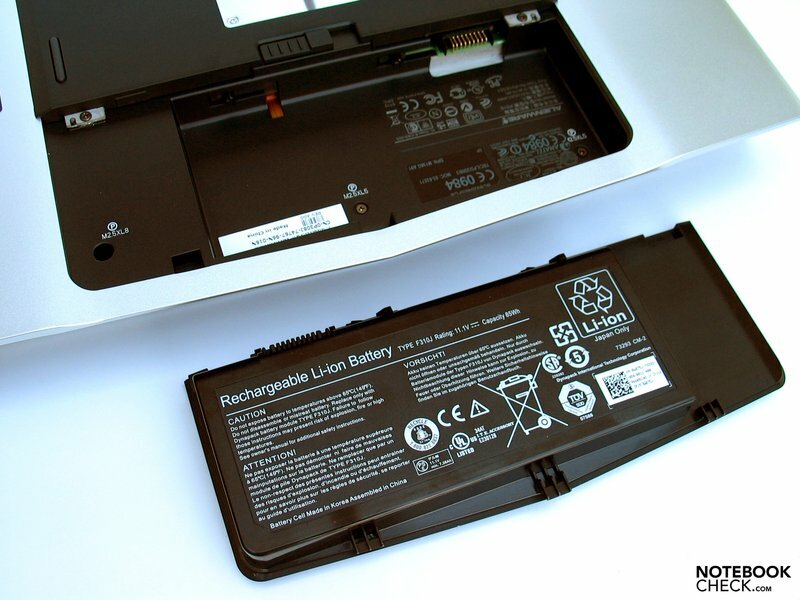 Dell's signature can also be recognized in the given warranty options. One year basic warranty is accompanied by further options of up to four years of premium-support, wherefore a steep surcharge of 339.00 Euros is due, though. The first impression has very well been confirmed in the run of the tests. Therefore, it's possible to refer completely to the hands-on report. 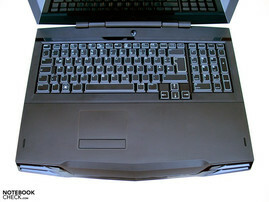 The keyboard unit has been kept in the typical Alienware design. Apparently, nothing has been changed in the lettering or in the keyboard's look. The backlit keyboard unit and touchpad are once again part of the package, which provide for an imposing light show in dimmed surroundings. 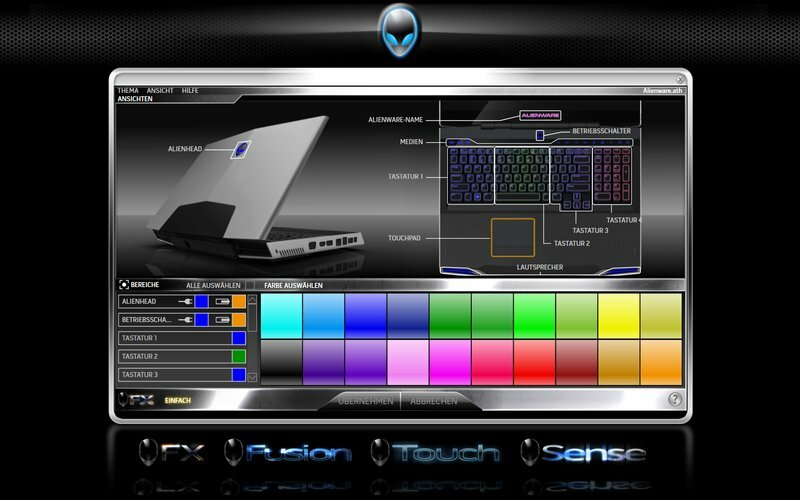 Talking about light shows: The colors of the single LEDs can be changed as you like with the tried and tested Alien FX tool and the notebook can be fitted to individual preferences. In view of the typing feel, the keyboard can be described as being soft with a slightly indistinct pressure point. 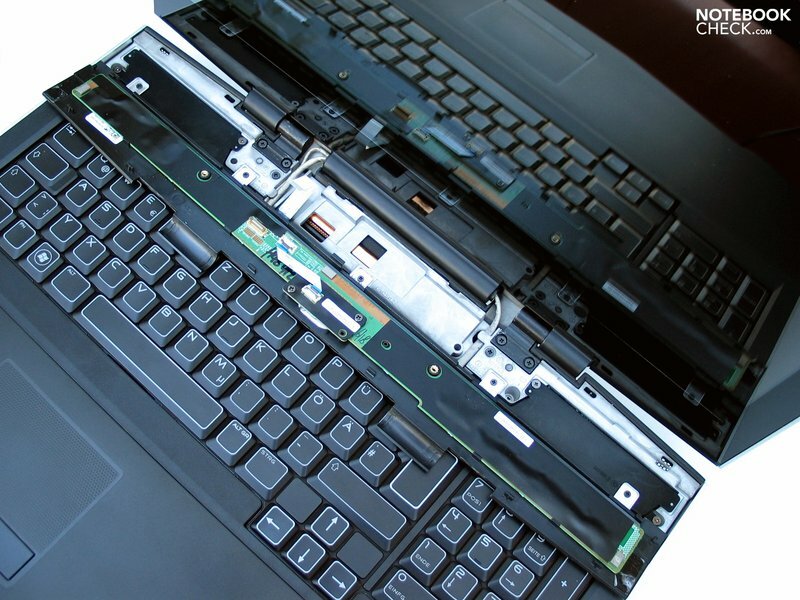 The keyboard can be deflected to a part, which leads to a coiling of the keys. The layout can be called generous and is therefore also gaming-suitable at any rate. This applies to the standard keys as well as the slightly offset arrow keys and the additionally provided numerical block, too. The base unit's form also turned out good in regards to this in the first test. 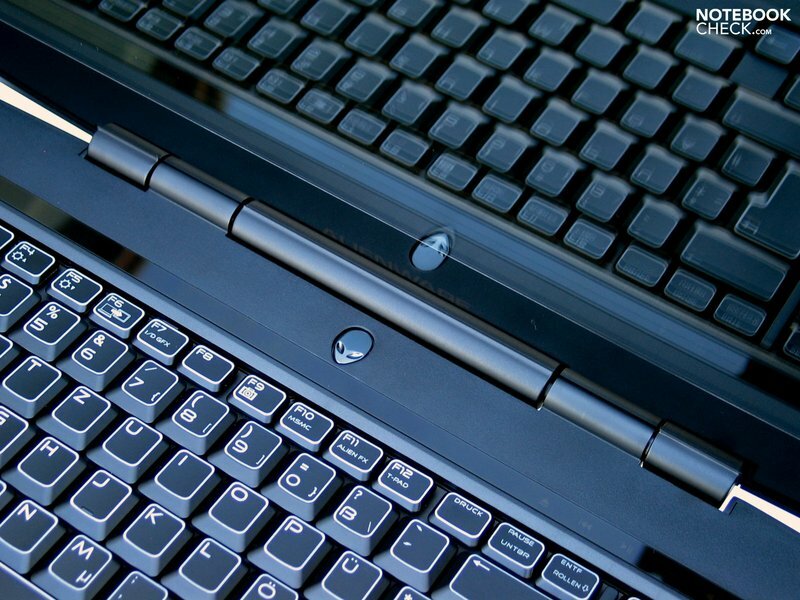 Due to the beveled front edge, the keyboard can be used quite comfortably, despite a proud case height short of 40 millimeters. The touchpad didn't really impress us at our first tries. The structured surface does show good gliding traits, but the response has to be described as very needy of accommodation. 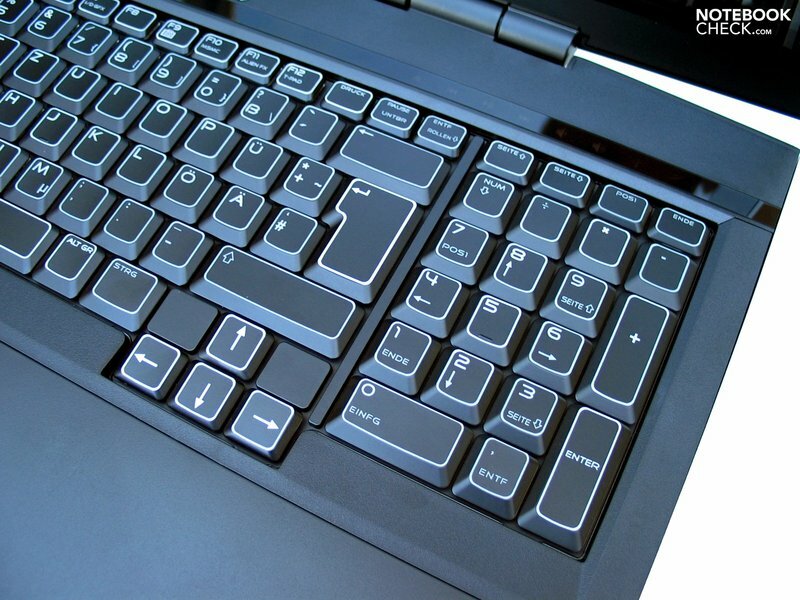 The comparatively stiff touchpad keys don't help much here, either. 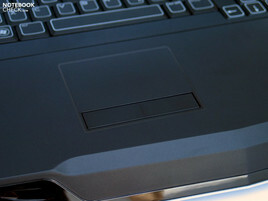 Positive: As soon as an external mouse is connected to the notebook, the touchpad is automatically deactivated. The previously made evaluations and impressions of the display could also be confirmed. A 17 inch screen in a WUXGA format with a maximum resolution of 1920x1200 pixels (SEC5443) has been employed in our test model. 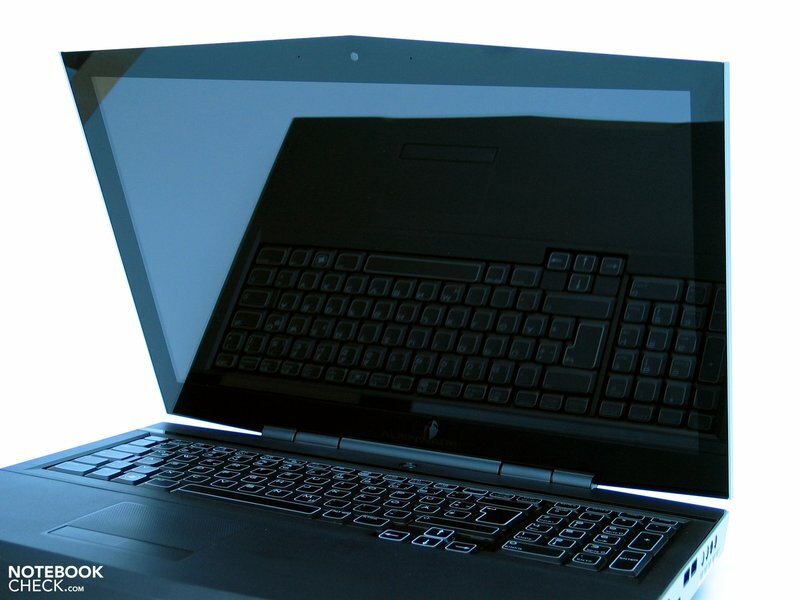 Only screens with a reflective glare surface are available. 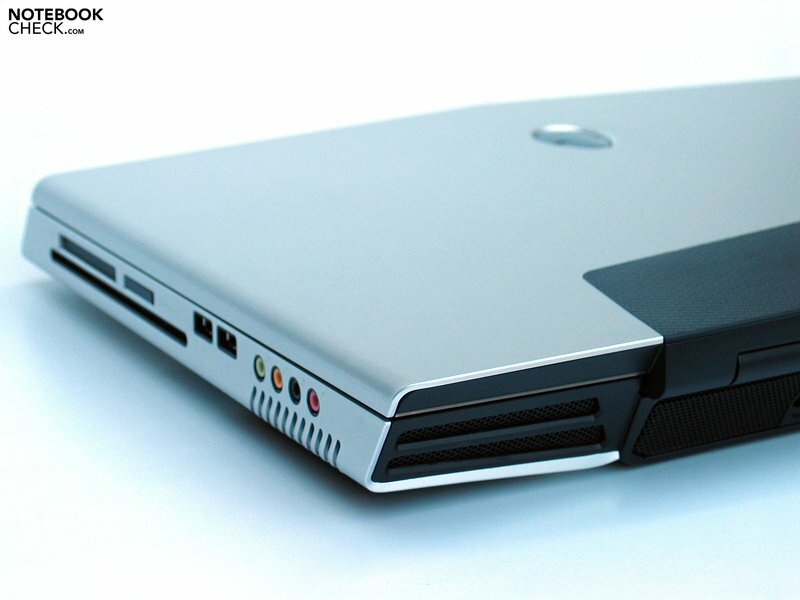 The "edge-to-edge" design also corresponds to the common trend in high-quality multimedia notebooks. A final farewell has to be bidden to the optional matt display alternatives, which Alienware had in their program in days gone by. Alas. There will, however, also be a lower resolved WXGA+ screen with a resolution of 1440x900 pixels offered optionally, which will rather come in consideration for the equipped configurations at a lower price. An equally steep amount of 175.00 Euros will be added to the WXGA+ screen, in the case of selecting of a WUXGA display. Our notebook's brightness test unveiled a maximum brightness of 263 cd/m2 in our central measuring quadrant. However, we could already establish an evident brightness decrease in the upper corner area with the naked eye as well as having this confirmed by our measurements. The maximum brightness declines to 159.5 cd/m2 here. 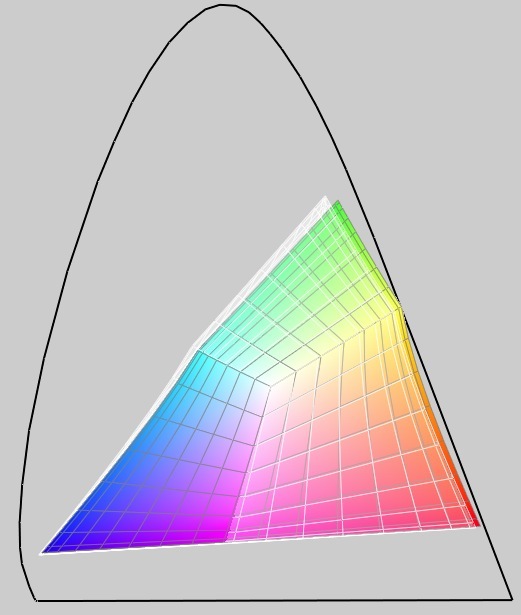 The brightness distribution value is accordingly low: The WUXGA screen only scored 60.6% in this exercise. Our test candidate's display scored superbly at the maximum possible contrast, though. The screen achieved a maximum contrast ratio of, believe it or not, 1058:1 with an especially low black value of 0.24 cd/m2 - Respect! 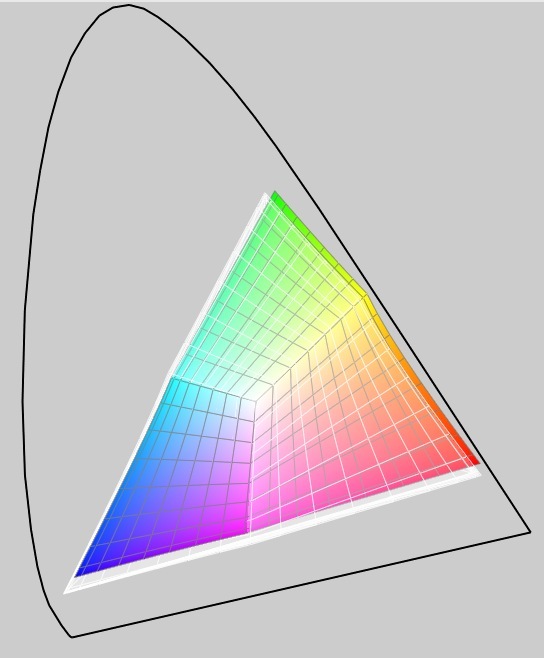 The presented colors were also subjectively saturated and bright. 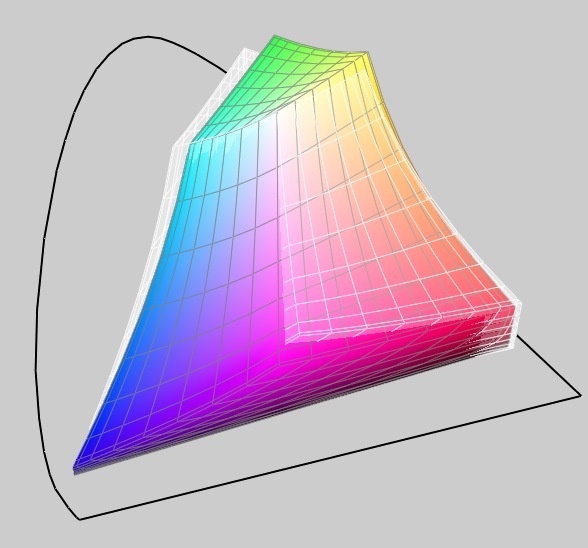 The color representation, measured with our colorimeter Spyder3 from Datacolor, shows a color space almost correlating to sRGB. 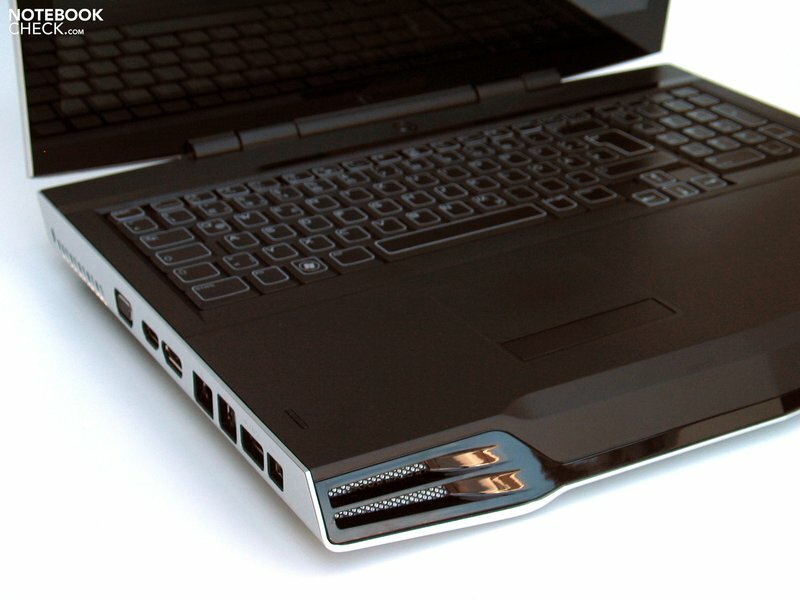 Thus, the Alienware M17x, equipped with a WUXGA display, plays in the same league as the Clevo M980NU. 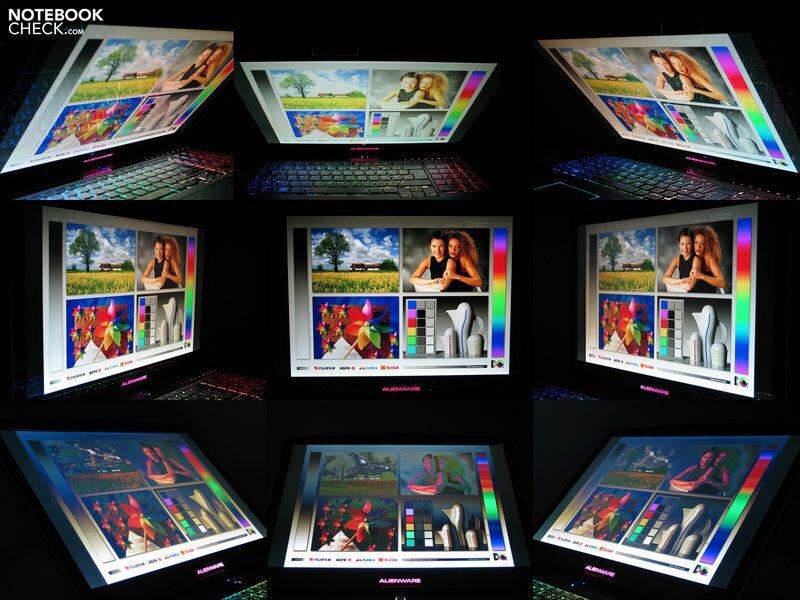 Far beyond the M17x's possibilities is still the RGB LED screen, tested in the Dell Studio XPS 16, which is looking for its equals in view of the representable color space. The viewing angle stability can be called sufficient in the horizontal as well as the vertical aspect ratio. However, you have to chum up with possible reflections and mirroring, also in interiors, in the long run. This can get particularly devastating in shooters, which take pride in a rather gloomy game-surrounding. The observed reflections can even turn out more intense at darker image contents, which can even go so far as that you can't distinguish targets fast enough in the shooter and quickly fall behind in a 1on1 fight. As already stated in a preliminary report, Alienware will initially disembark the M17x onto the market exclusively with components from Intel and Nvidia. However, the consequential use of graphic chips from AMD/ATI is conceivable. Firstly, there will be processors from the Intel Quad Core range to choose from. Our extensive comparison test of all available chips can be found here. The most efficient CPU of the model range is used right away with the Intel Core Extreme QX9300 CPU. 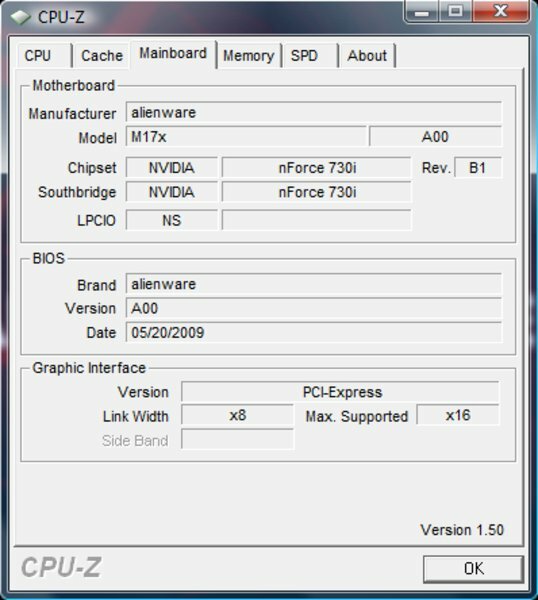 As stated, Alienware keeps its promise and makes it possible to overclock the Extreme CPU to a whopping 3.06 GHz. 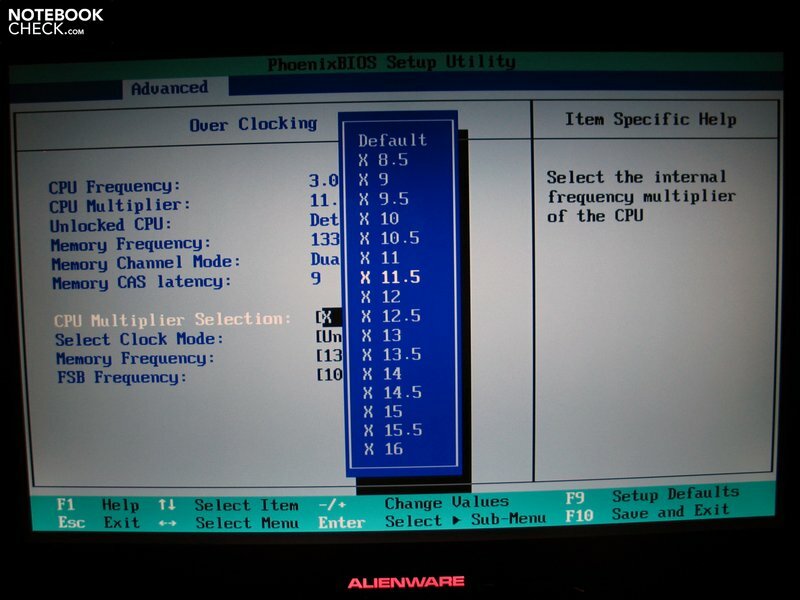 Overclocking is basically feasibly simple: The bios is accessed by pressing F2 at system start where the overclocking option can be selected. The according multiplicator is chosen (i.e. 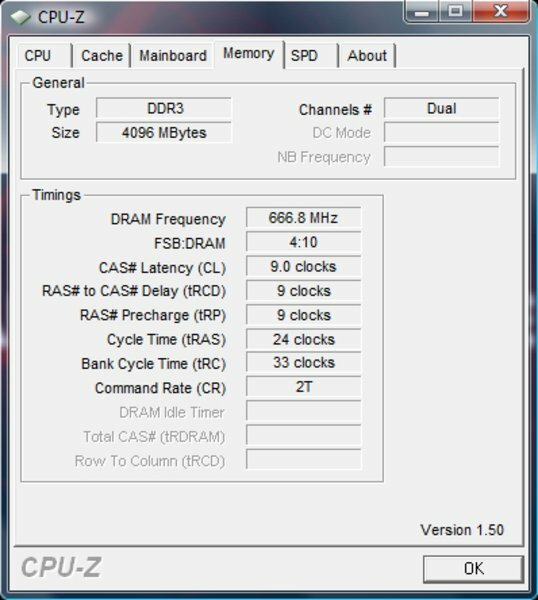 3.06 GHz - x 11-5) and then the system is re-started. A multiplicator of up to x16.0 can be chosen in the bios, but practice-suitable was only a multiplicator up to x12.0 (3.2 GHz). In all the other tested setting the system crashed after rebooting, which was expressed as either a blue screen or simply breaking down. 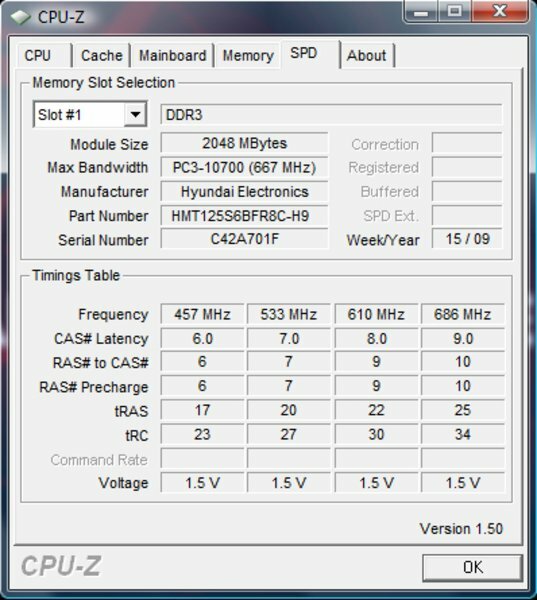 We could merely take delight in the theoretically possible 4.4 GHz (x16.0) in the bios. In regards to the graphic chip, Alienware unfortunately restricts itself to two models from Nvidia for now: GTX 260M and GTX 280M. The GTX 280M will only be available as a SLI crossfire (GTX260M single and SLI), with which we come to the configuration of our test sample. Our system reached an excellent 15,378 points (1024x1280 pixels) in the 3DMark2006 test. The just evaluated Asus W90 merely achieved 12,328 points, although the built-in ATI Mobility Radeon HD4870 X2 graphic solution is in itself a coequal graphic hardware. 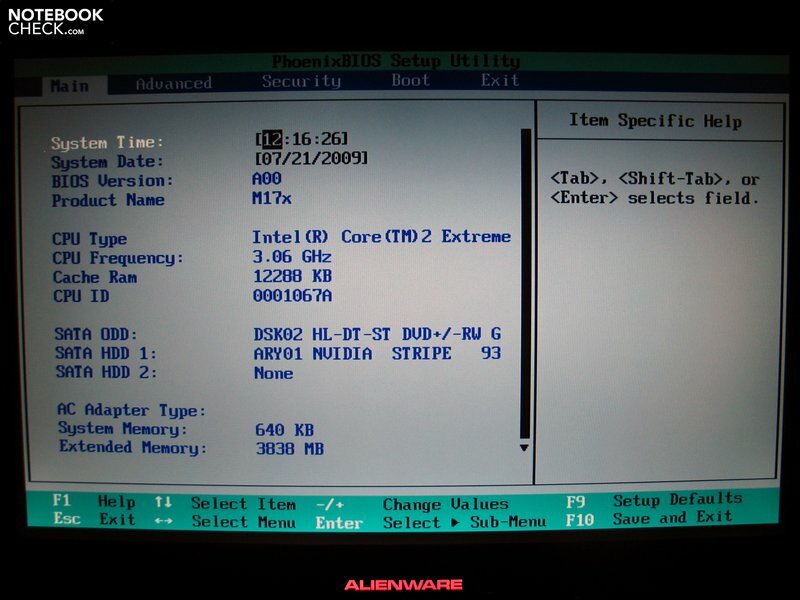 However, it was problematic for the W90 that on the one side a Q9000 CPU was built in, which could "merely" be overclocked to 2.2 GHz (supported by Asus) and on the other, ATI only provides hopelessly old drivers for the system. 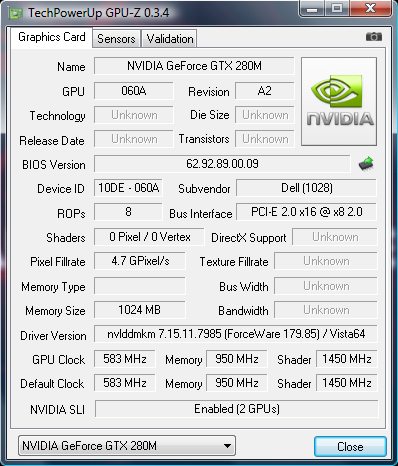 Talking about drivers: The Nvidia driver 7.15.11.7985 was preinstalled on our Alienware M17x's test sample. ... or GTX 280M SLI - it's up to you. 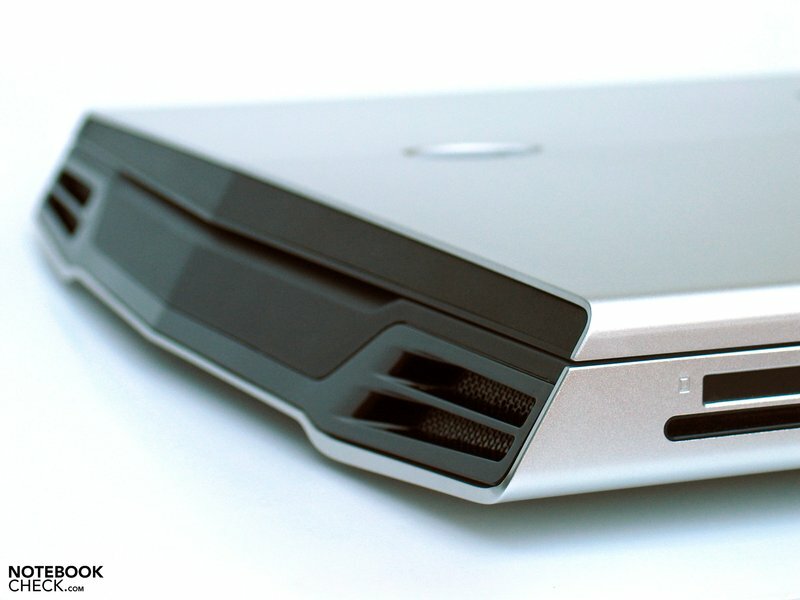 A special feature of the new Alienware M17x is the built-in Nvidia 9400M G chip set. 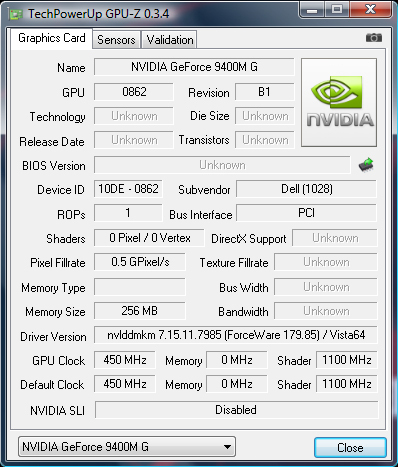 This makes it possible to switch between the dedicated GTX 280M graphic card and the integrated graphic chip set. This worked perfectly in the test and the change is completed within seconds. If this option is activated in the bios, a click on the correlating symbol in the task bar is enough to change the hardware within seconds. During this, the image disappears for a moment and running 3D applications have to be closed. 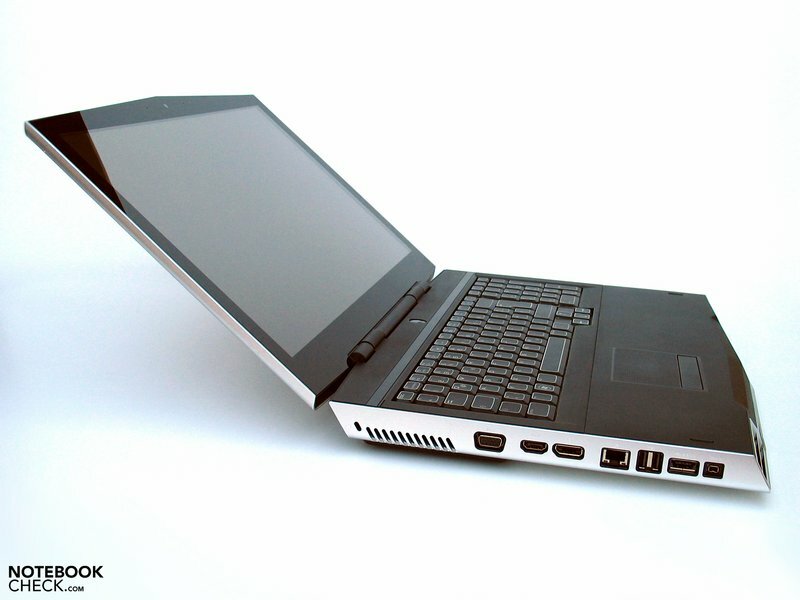 The results of the PCMark2005 and in the PCMarkVantage could count as an advocate for the given Alienware M17x's performance. Both benchmarks delivered top results, which is barely surprising in view of the configuration. 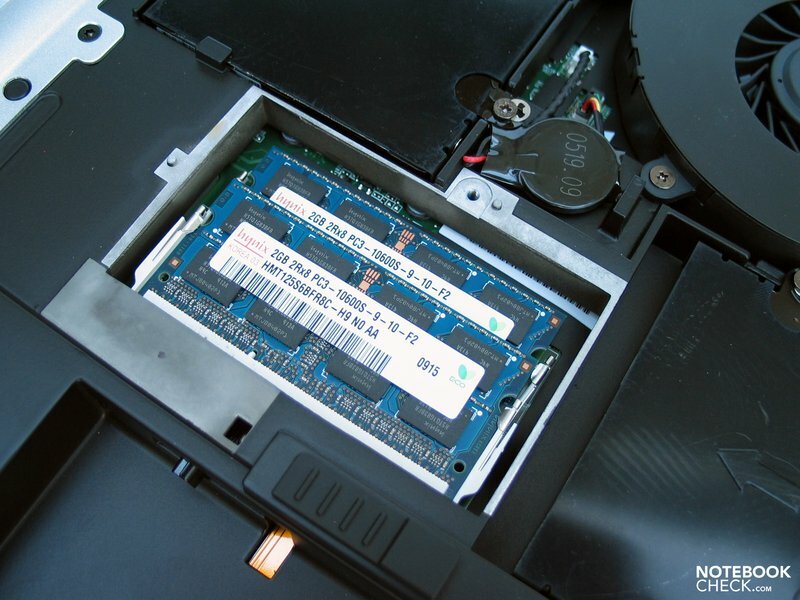 In regards to system memory, Alienware sets exclusively on the fast DDR3 memory chip, optionally with 4GB, 6GB or the maximally supported 8GB. That what sounds very beguiling at first turns out later, when looking closer at the price, little practice-suitable - unless you are blessed with an especially full to bursting wallet: An additional 1,128.00 Euros are due for 2x4GB DDR3 RAM. Chapeau. The optional configuration with up to two 2.5" hard disk is like a bargain, with which a memory capacity of up to one terrabyte in a RAID crossfire can be reached. Not listed in the web shop, but according to various data sheets, efficient Solid State Drives (SSD) are also available. The absolute non-plus-ultra would then be a RAID crossfire of two SSDs, which would take place in the spheres of 8GB DDR3 RAMs (depending on the capacity and SSD type, of course). In the end, only consistently high frame rates at a good image quality is that what counts for a gamer. Our test configuration represents the most efficient available range, except for single upgrade options (RAM, SSDs,...) which probably won't find consideration due to their horrendously high price, and individual modifications in regards to CPU and GPU (drivers,...). 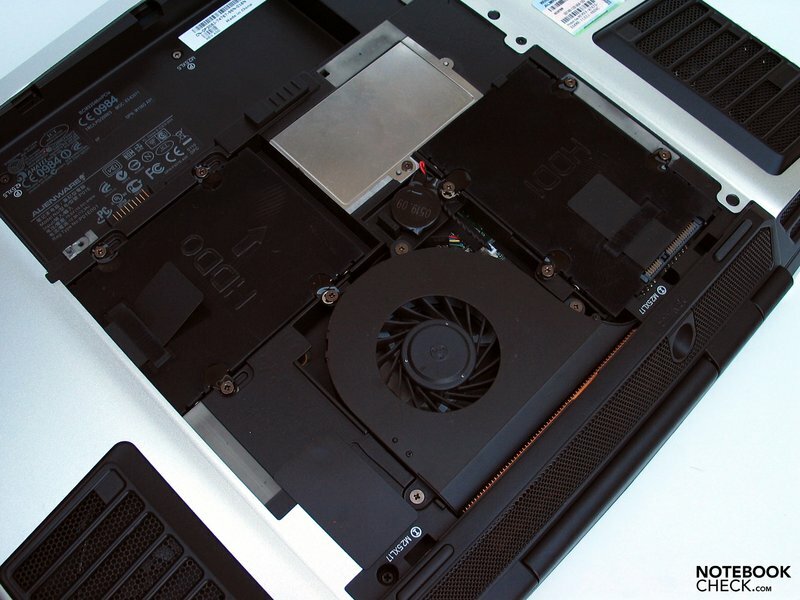 Generally, the currently most efficient available components for notebooks are deployed in our M17x's test sample. Already the choice of the Geforce GTX 280M SLI graphic solution and the QX9300 CPU doubles the Alienware M17x's base price of about 2000.00 Euros to over 4000.00 Euros. Respect. The M17x should also have enough power in order to play Grand Theft Auto IV in a reasonably good graphic with the tuned QX9300 CPU and the two GTX 280M graphic cards. Actually, on the one hand the given video memory of 1024 MB per graphic card is enough to select high texture details and on the other the QX9300 also has the required performance to not be disclosed as a bottleneck. In detail, we could establish a good 45.23 fps in GTA IV's game integrated benchmark test at high settings (1280x1024, all high, view 25/100, detail 100/100, vehicle 100/100, shadow 8/8). 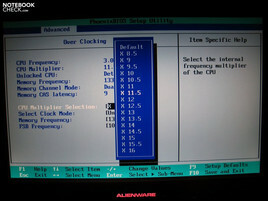 A smooth gaming was also possible with these settings in the practical test. 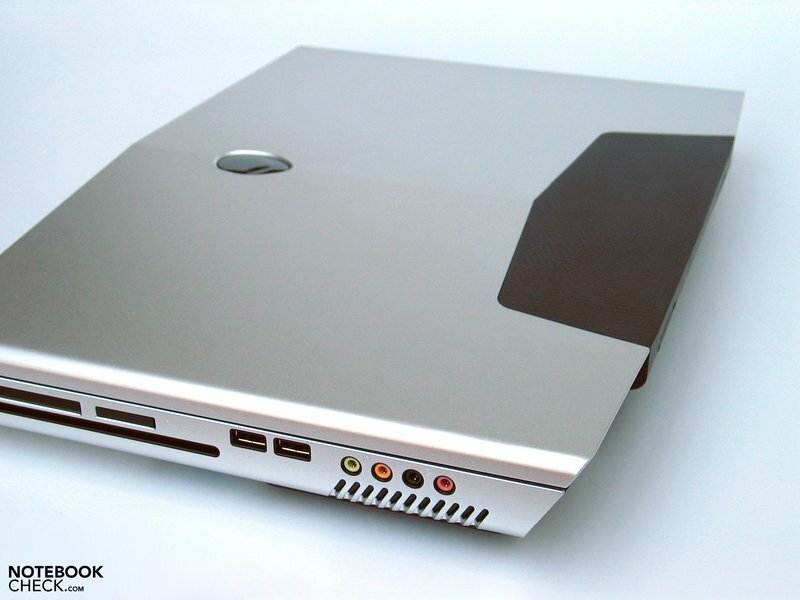 CoD4 was basically also well-playable at high graphic details (1280x1024, all on/high, 4xAA), but there were massive, even if short interruptions to be noted already after a few seconds at the insinuation of the first single player mission The Alienware M17x presented a very good 105.9 fps in average. It could possibly be the result of a driver problem, as similar interruptions could be observed at a medium detail level. The SLI solutions coped with the latest horror shooter F.E.A.R. 2 amazingly well. The noted frame rate stayed at high graphic details (1280x1024, all on/high, 4xAA) almost consistently over the 70 fps mark. 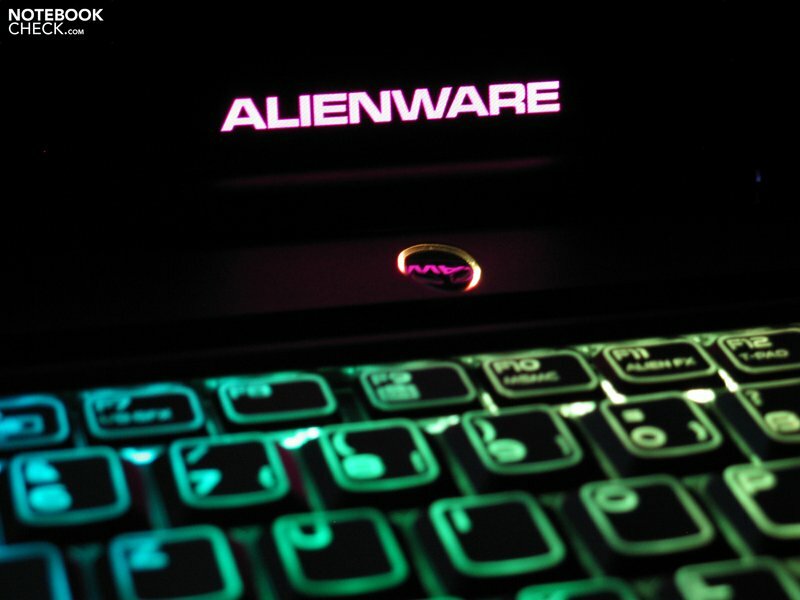 The Alienware M17x also guarantees smooth gaming in the race game GRID, and that at very attractive graphic details: 1280x1024, all on/high, 2xXMSAA. 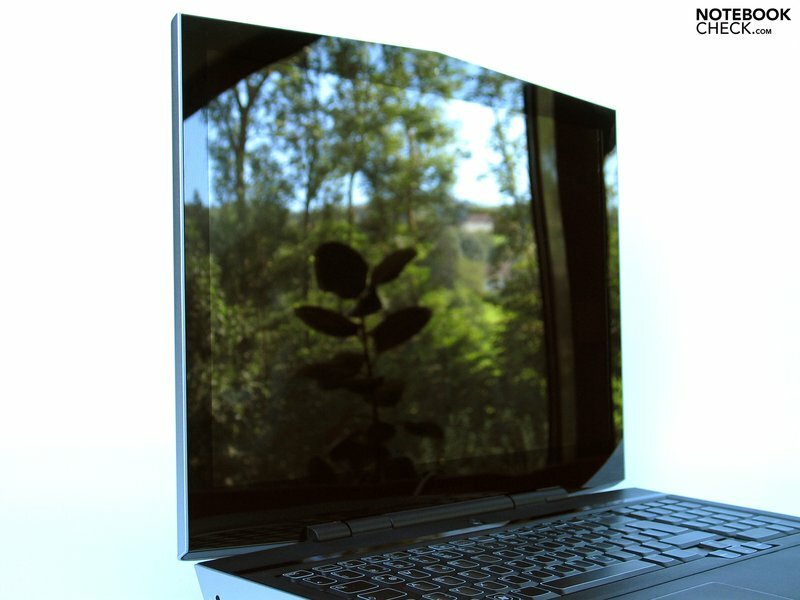 With a steady fps over 60, effects such as dust turbulences in accidents or smoke at wheel spinning doesn't have an effect on the notebook. The frame rate stayed at around 50 fps (1024x768, high) in the integrated GPU benchmark test. Rates of even 50 - 70 fps could be observed at game insinuation. Therefore, you are perfectly equipped to have sufficient performance reserves even in a later game course, as the graphic load obviously increases due to numerous effects. The integrated benchmark of Farcry2 reacted at about the same level as the Crysis benchmark. With a minimum of approx. 45 fps, the refresh rate stayed in an absolutely smooth range, even at selected high graphic details (1280x1024, dx10, all high, 4xAA). Overall, these results are very impressive. The results of the comparably equipped Clevo 980 NU, also with Geforce GTX 280M SLI graphic, was about in the field of the Alienware M17x. In the run of our tests, we could note a strange reluctance now and again at starting single applications and at parts of the system control. The reasons for this couldn't be completely be clarified. Eventually, the overclocked CPU was responsible for these irregularities. And with this, we are then by the next point: The soundscape of the M17x. 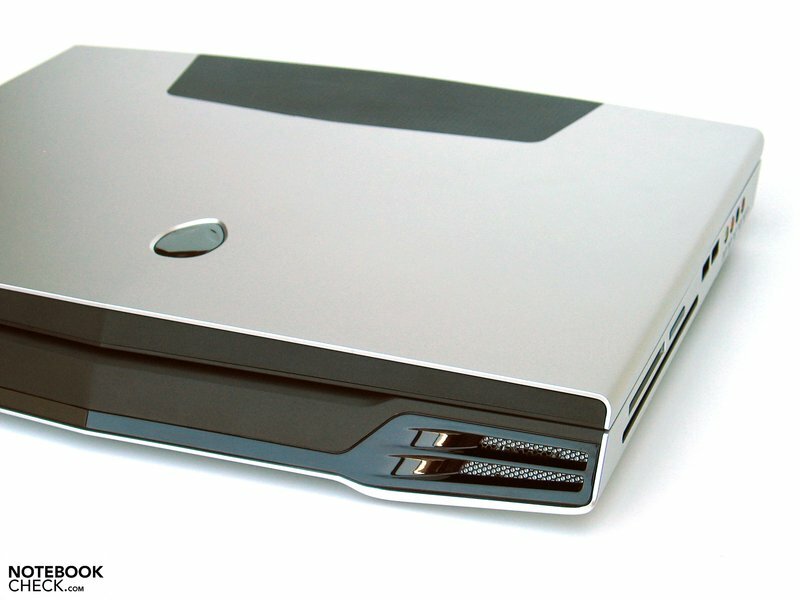 In the run-up, Dell/Alienware stated interesting concepts in view of cooling. As the device is now before us, it quickly becomes clear how this should work. Almost the complete back part of the bottom side has been made out of a fine steel mesh, which grants an optimal aeration of the hardware components. The first subjective impression confirms this notion. 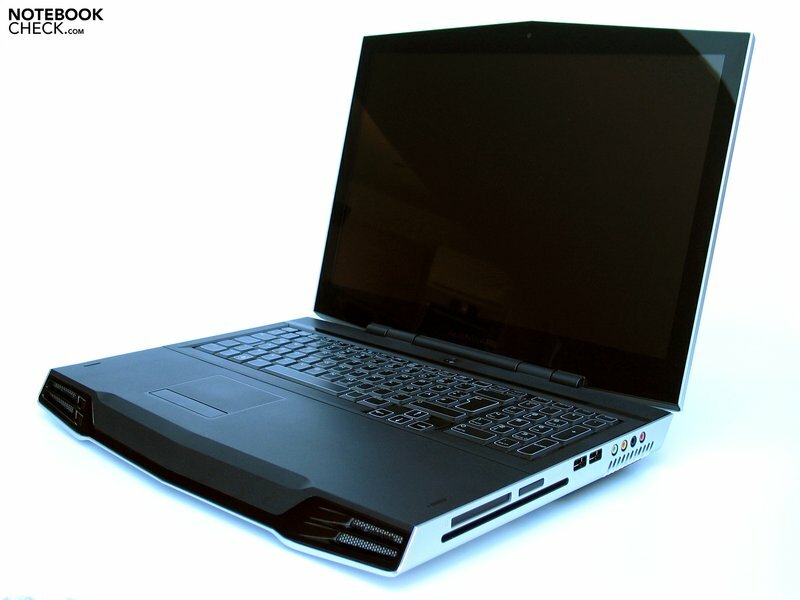 The notebook can be called very quiet with an activated 9400M G graphic in idle and office mode. Merely the discreet whirring of the fan is audible. Hence, a relaxed surfing in a quiet surrounding isn't a problem for the notebook. The display of our sound level meter didn't go beyond 34.8 dB(A) in this state. But also with an activated GTX 280M graphic, the noise level stayed surprisingly low and in an absolutely acceptable field without load (36.0 dB(A)). 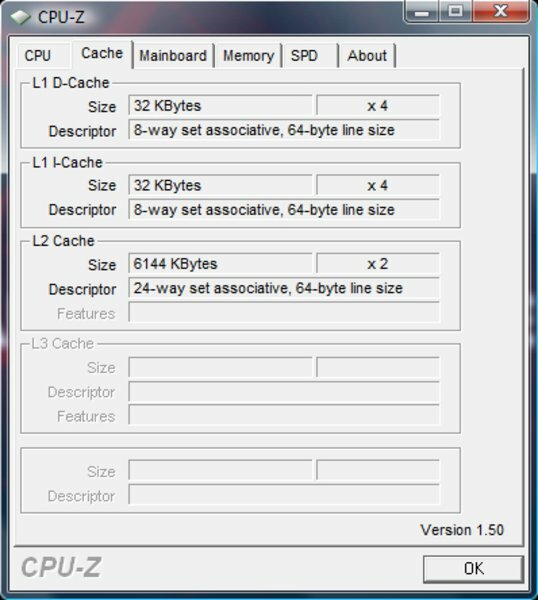 Under load (CPU and both GPUs working 100% to capacity), tested with an overclocked CPU as well as activated SLI function, the device reached a maximum of 48.2 dB(A). This can subjectively be described as loud, whereas the soundscape remains bearable due to the rather muffled whirring. It was interesting though, that the M17x never reached these maximum possible levels in the practical gaming mode. According to our observations, the device stayed very pleasant and definitely not disturbing at about 41.1 dB(A) while playing the above listed tracks. The temperature, measured after a stress test of several hours, stayed within a frame. The wrist rests heated up to 34.1°C and the keyboard to an equally acceptable 38.8°C. 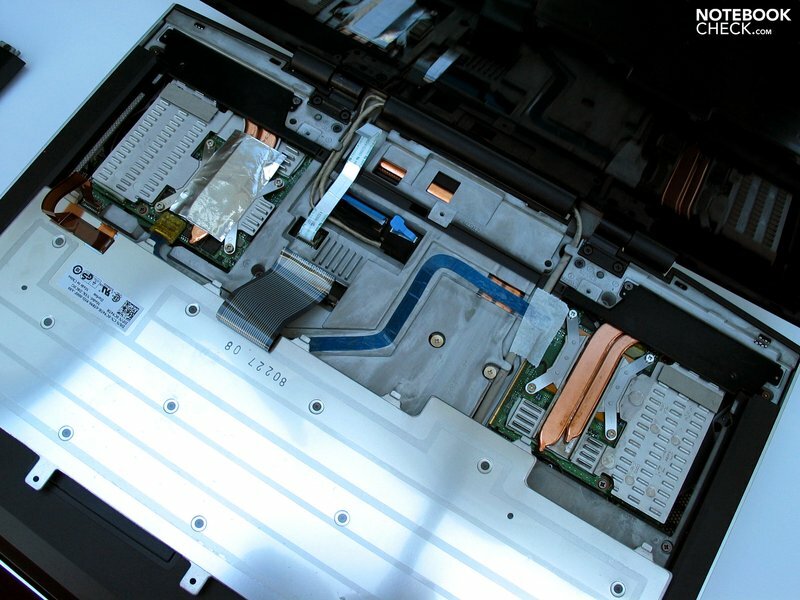 It initially got hot on the back upper side rim, where all fans discard their waste heat on the back edge towards the outside. Peak value: 46.6°C in the right area of the touch sensitive hot keys. The surface heating turned out similar on the bottom side of the device. A maximum of 45.3°C could be measured in the area of the perforated openings. 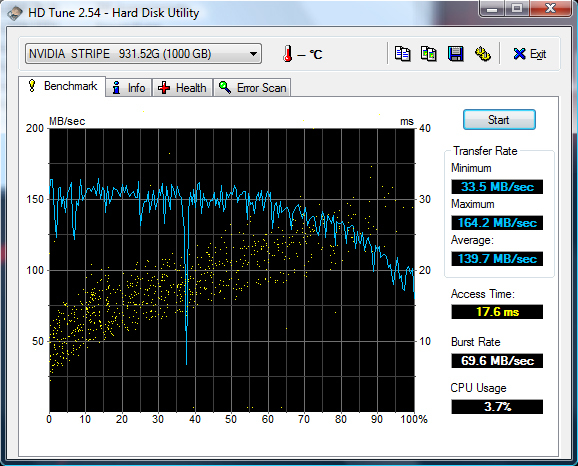 That the Alienware M17x's cooling system does a great job can also be seen on the internal temperature development. In the stress test at full load of the CPU and graphic card, a maximum temperature of just 82°C could be established for the graphic chip. Therefore, the system still does have reserves. (-) The maximum temperature on the upper side is 46.6 °C / 116 F, compared to the average of 39.3 °C / 103 F, ranging from 21.6 to 68.8 °C for the class Gaming. According to the data sheet, the M17x is equipped with a high-definition 5.1 surround sound system. At the same time, there is also a reference to two built-in front speakers. That can't work. However, the option of output over the built-in 3.5mm cinch sockets is referred to. The front speaker, rear speaker as well as center and subwoofer is supposed to be fed with a corresponding signal. This hasn't been tested, though. Those who can waiver on a surround system is but well-served with the pair of integrated loudspeakers. 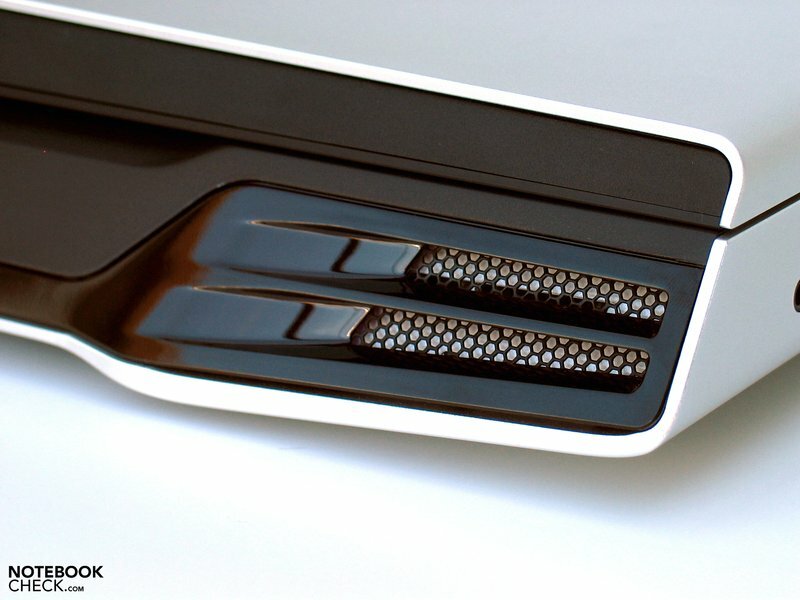 The speakers have a good maximum volume and stay clean in their sound. The sonority can also be described as good. This is sufficient for gaming and less demanding music rendering anyway. The battery life is usually a red rag for efficiently heavy gaming bolides. 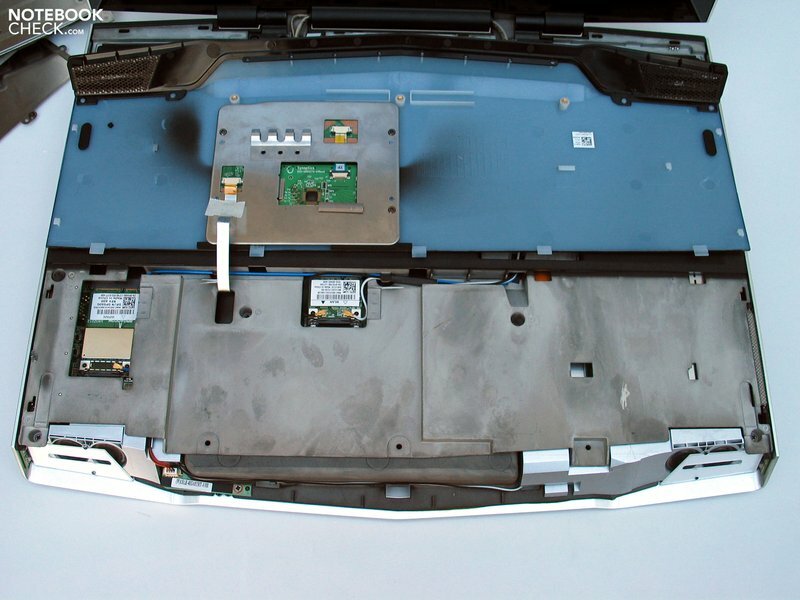 High performing hardware components and low energy requirements can't be denied. Nvidia has already presented an interesting solution a while ago in regards to this. The 9400M G chip set makes it possible to switch between a dedicated, unassisted graphic card and an integrated graphic chip set. All of this is first suitable for practice, as this procedure only take seconds and it can be made with only a few mouse clicks, without rebooting the computer. 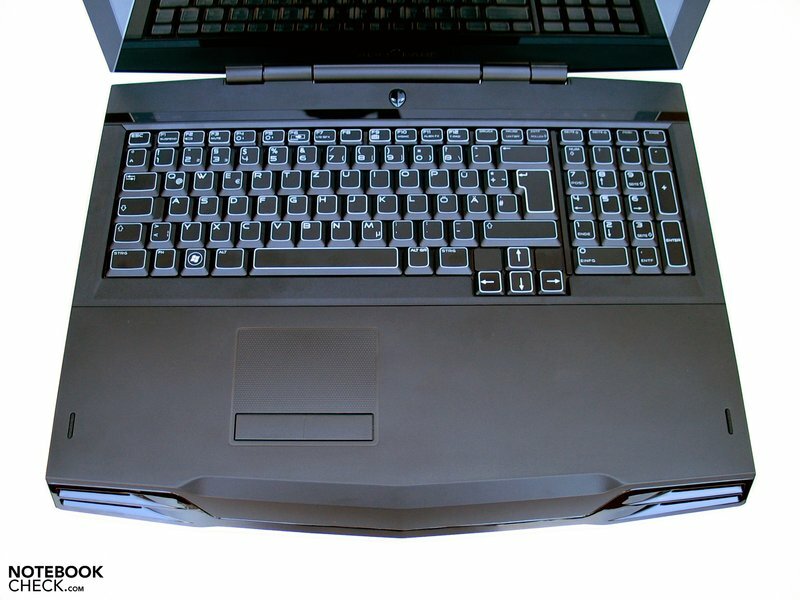 In order to reach an energy saving and at the same time quiet operating as fast and easy as possible, Alienware has integrated a so-called Stealth Mode, which can be called upon via an own key above the keyboard's right. According to information from Alienware this mode switches to the integrated graphic and supposedly triggers a row of further, not any closer defined energy savings measures. 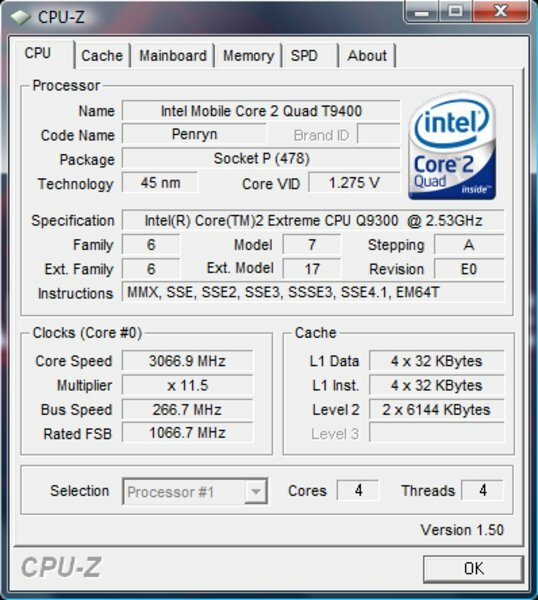 The CPU rate will also be throttled to 1600 MHz (just as in the Windows energy savings mode). There isn't any relevant difference to be noted between the activated Stealth Mode and the manually selected usage settings (9400M G, energy savings mode) in the power consumption. 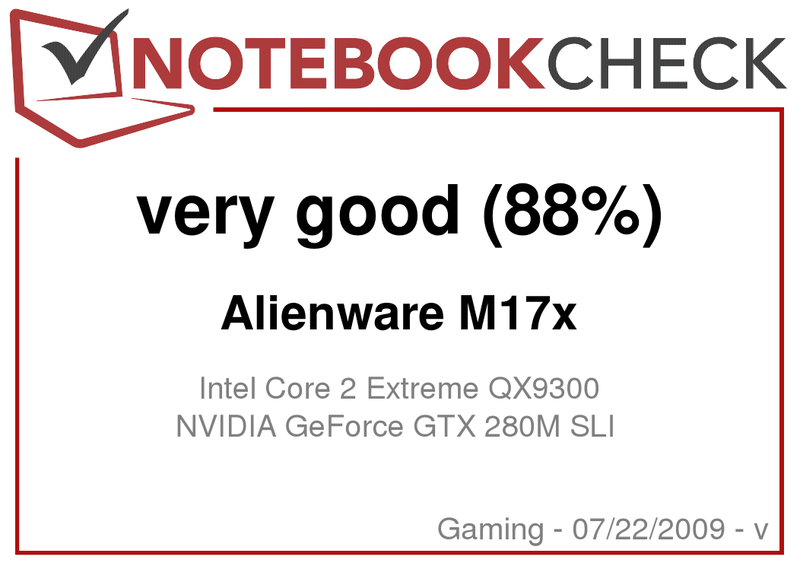 The Alienware M17x shows itself comparatively modest with a bit over 30W. The given performance is still more than enough to execute simple tasks, like mail traffic or internet. The 9400M G alternative is about 15-20W below the device's power consumption with an activated GTX280M SLI graphic in idle mode. This span runs even further apart at full system capacity: 96.8W vs. 224.2 W. However, the dedicated graphic solution will probably always be used under load, unless only CPU performance is required. This is also 100% on-call with the Nvidia 9400M G.
But now to the battery runtimes. With the BatteryEater Reader's test, we could elicit around 120 minutes from the M17x, with activated GTX 280M SLI graphic cards, and otherwise all setting tuned on energy savings. This result was still increased to around 200 minutes with the 9400M G graphic chip set, which is a plus of 66%. The M17x only ran for 75 minutes under load in the BatteryEater Classic test as well as with an activated GTX280M graphic, maximum display brightness and high performance energy profile. The practical runtime in WLAN mode might also be intriguing, where we achieved around 155 minutes (max. brightness, energy savings profile, 9400M G). 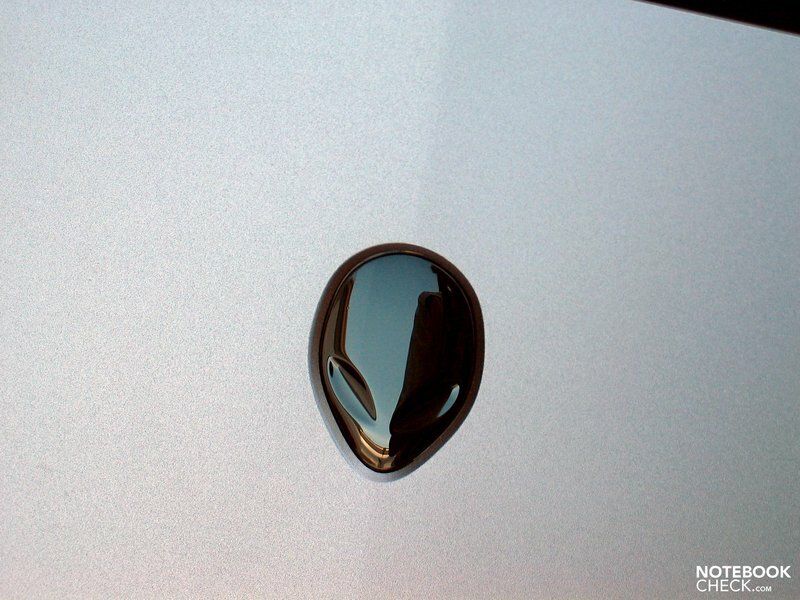 The first impression of the Alienware M17x sustained even after a longer working with the device. 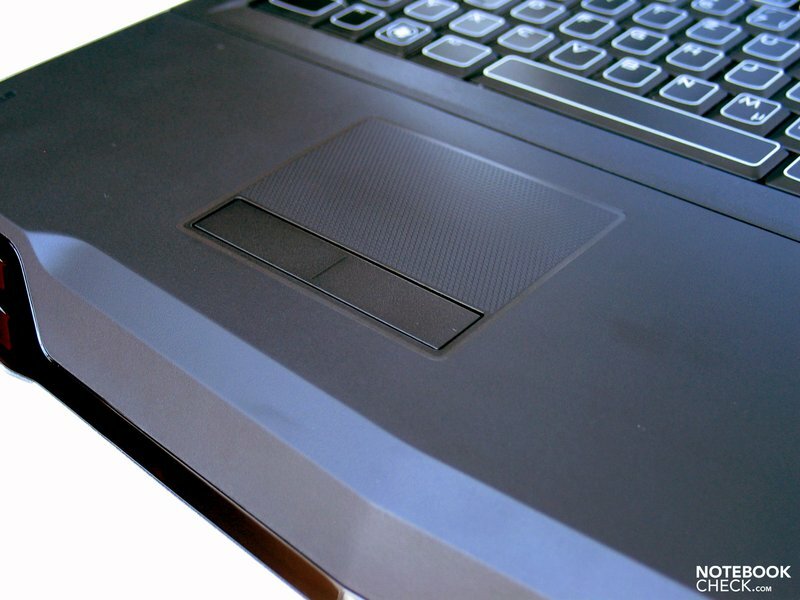 Alienware, or correctly Dell, has done a good job with the case and in our opinion could even surpass proclamations such as: "level of the Precision range". 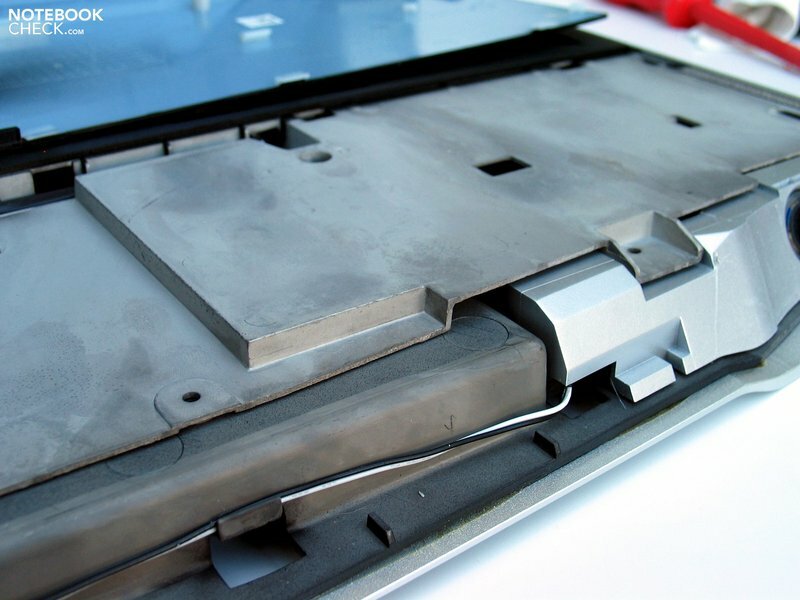 The aluminum case tray provides for a first-class haptical impression, gives the laptop a remarkable stability and provides above that for a well-made, distinctive design. 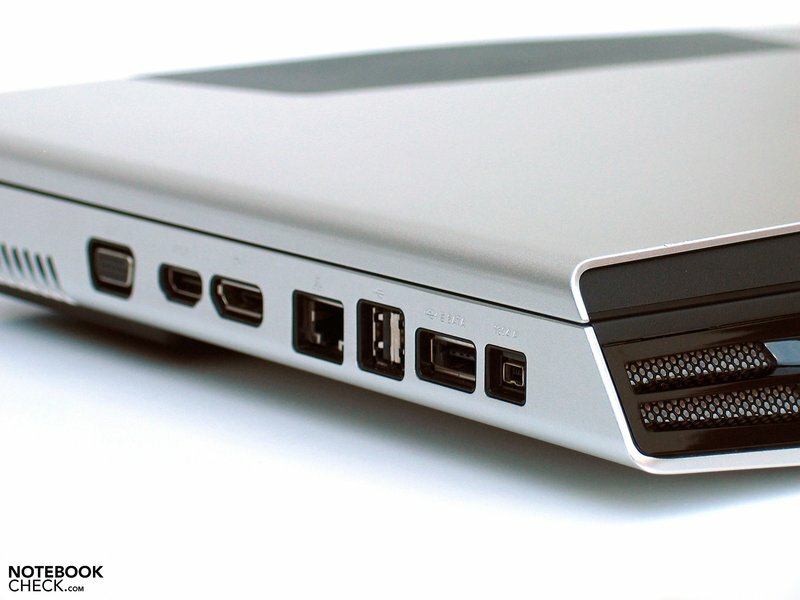 The ports on the case's left side may be an easy target for criticism. Lefties will have their troubles with it. Even if it's hard to believe for a 17 inch bolide, the available space on the M17x is tight. The back side is entirely perforated and provides for a maximum aeration for the built-in components. The back side areas also show cooling slots. 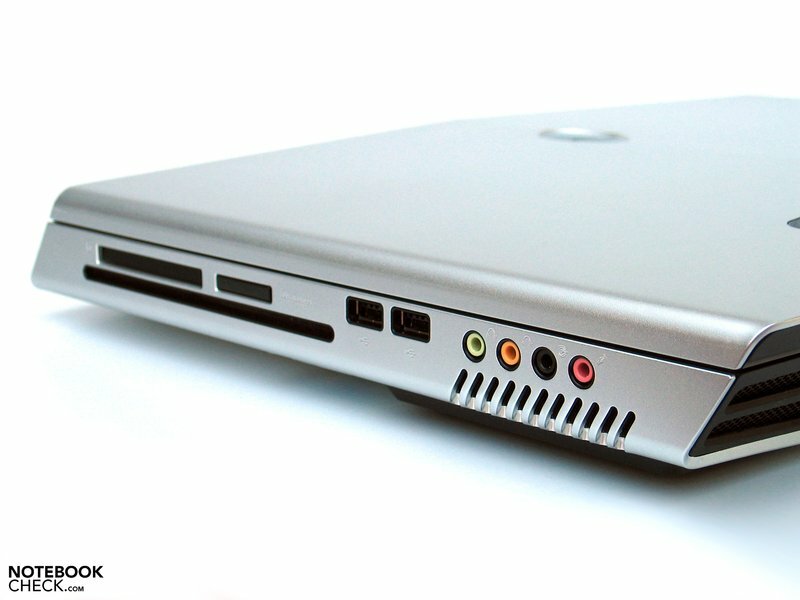 The front edge is indispensable for the overall appearance of the laptop, with which only the left and right side edges in the center and front area are left. The display turns out basically average. There are still improvements possible just in view of illumination. Of course, the M17x is everything else than a work device, but the glare screen stood out unpleasantly time and again and irritated with unwanted reflections, even at gaming. Too bad, that you always have to retreat into a dimmed room for a gaming session. In regards to performance, you can actually only ask:"What more do you need?" There isn't currently any more efficient hardware in the mobile field available. There is only tuning left in view of the used drivers or the fathoming of the overclocked CPU's limits. To be mentioned as very positive is the Nvidia 9400M G chip set, which makes a quiet use possible as well as saving an according amount of energy, as long as there isn't a momentary need for top performance. That office tasks can actually be performed pleasantly with a gaming bolide is almost something that you might just want to refuse to believe. 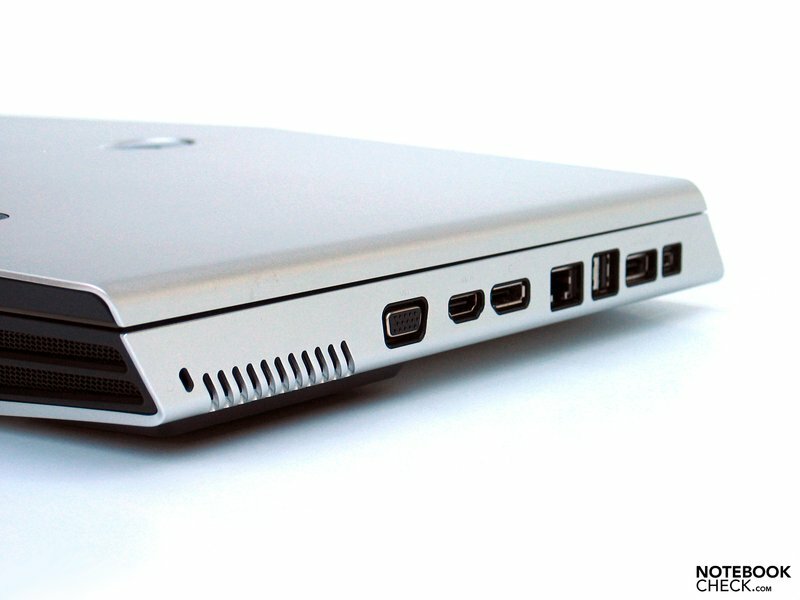 However, the Alienware M17x simply stays quiet with the deactivated Geforce GTX 280M. The battery life can benefit from this concept, as well. You can count on about 2.5 hours of WLAN surfing. Not much, but in view of these performance reserves impressive anyway. Now and here I would like to greet a more or less friendly Mr. Expert-Salesperson who worked in the notebook department of a "galactic" electronic shop in Linz, who had said to me with a nonchalant smile a few years back: „Hearns, wenns spün woin, daun kafns ina an Gemboi oda a Plesteschn!“ (English: "Listen, if you want to play then you ought to better buy yourself a Gameboy or a Playstation!"). Somewhat needy of accommodation is the indistinctive type feeling, though. The touchpad is rather more a stopgap, and doesn't always respond optimally. 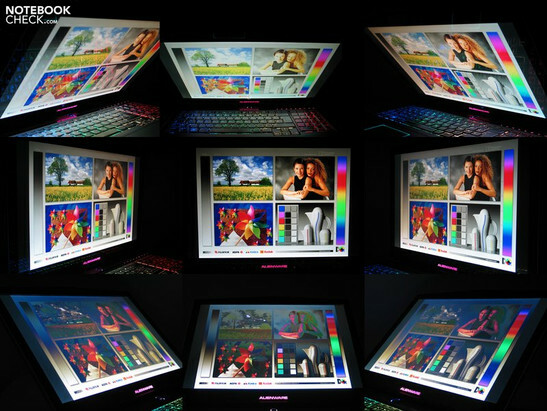 Two displays are available, among these a WUXGA screen in an edge-to-edge design. Good contrast results face a rather inadequate illumination. It then gets exciting under the stable aluminum chassis. As usual, only efficient components are used in the Alienware. So you find an overclocked QX9300 Quad Core processor,..
...which can be revved up to 3.06 GHz. Two Geforce GTX 280M graphic cards come along. Piece by piece you infiltrate to the core,..
…and find well-accessible components surrounded by a stable magnesium bezel. ... the entire back side has been perforated. 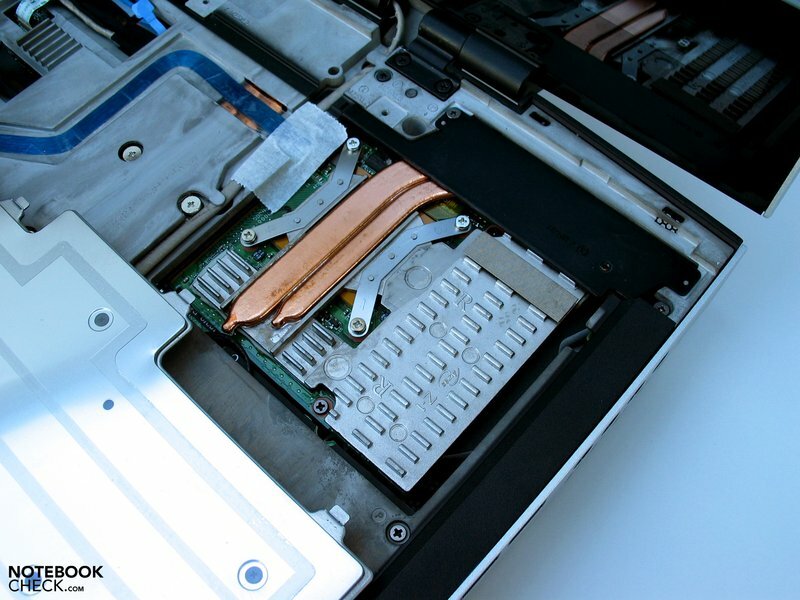 The heating up of the hardware but also the system noise of the entire notebooks is kept very much within a limit. Both integrated speakers may not deliver surround sound,..
...but their sound is quite good to listen to. The size and the arrangement of the keys is alright. ... including the colorful LED lighting. 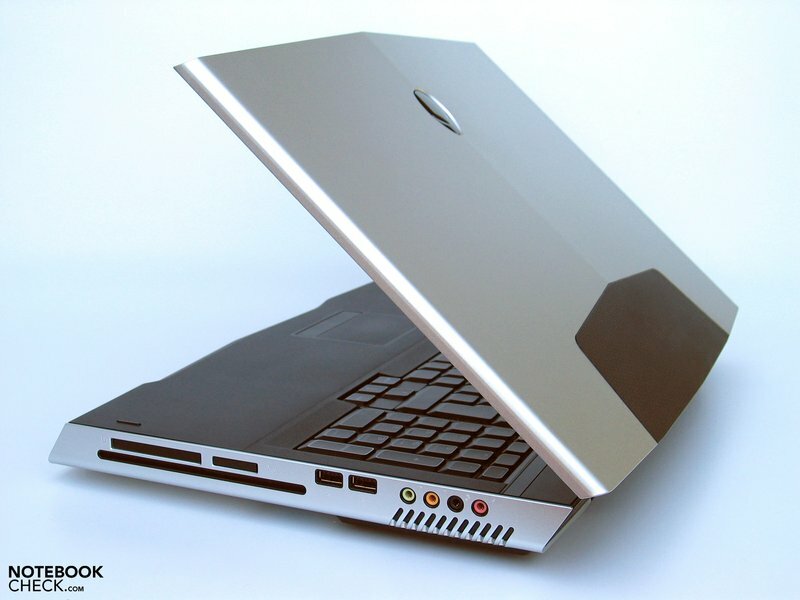 The M17x is the first product in collaboration with Dell. ...the inputs from Dell aren't to be overseen. ...but also in regards to the applied materials have they have taken new paths. ... or the interior bezel of magnesium. ... as well as a unique design. Production flaws have to be practically looked for with a magnifying glass. Partially not 100% regular gaps could be named, for instance. 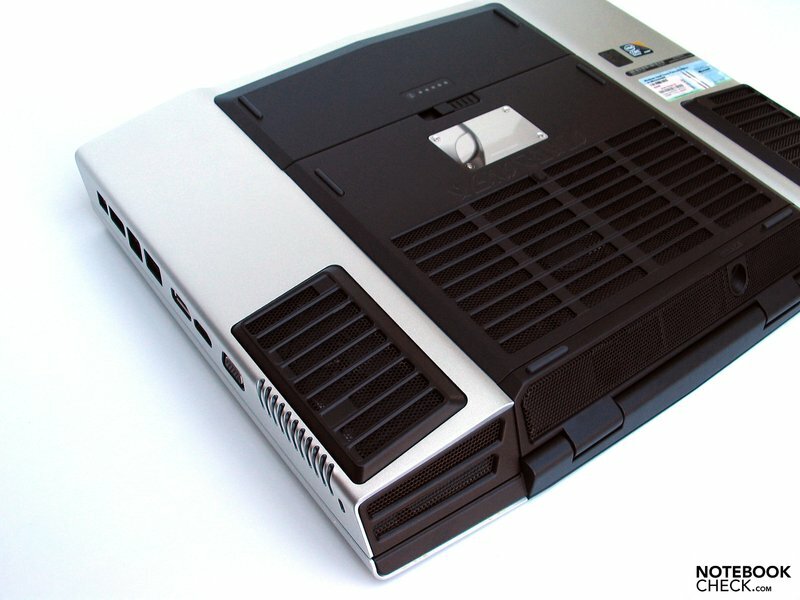 The M17x has an optical drive on a slot-in basis, which can optionally be fitted with a BluRay drive. The connectivity is quite impressive. ...there are also a whole row of video interfaces to be found on the device. Thanks to the 9400 graphic chip set, the M17x even reaches useable battery runtimes. 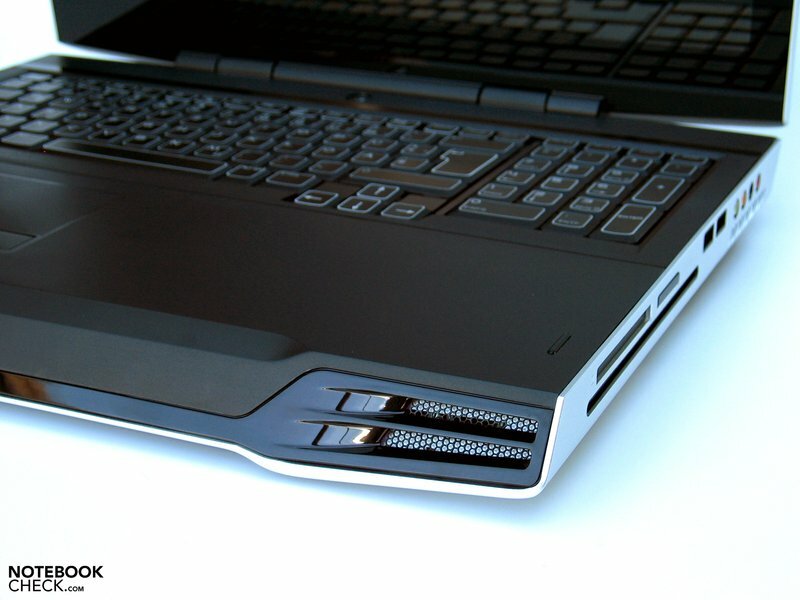 The new style which has come to Alienware. 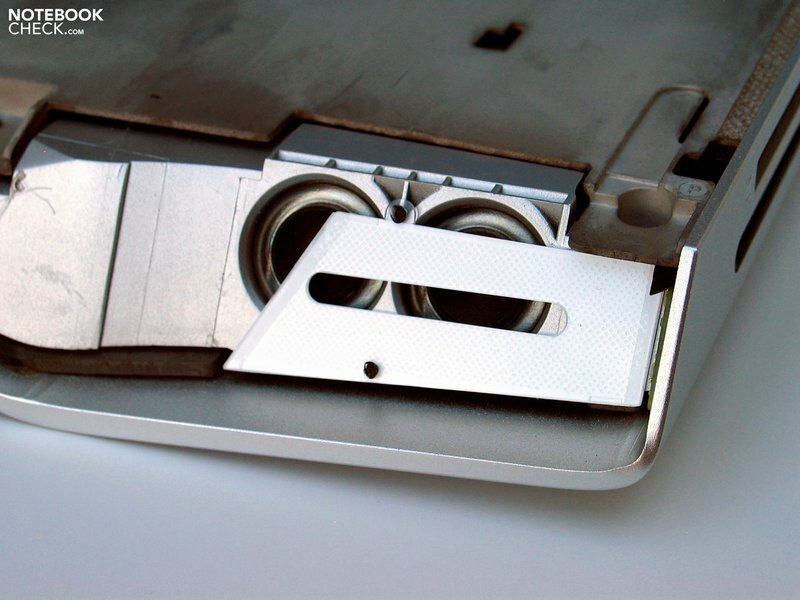 Not only the performance counts, but also the component packaging has to be at the highest level. Mission succeeded And of course the 9400M G chip set solution, too. Everything. Case, design, workmanship, hardware, the price, ... and much more. The Alienware M17x is a notebook of extremes. Competitors? Which competitors could be named here? Various plastic buckets from the far east? Definitely not. Even if they might have a comparable hardware. The Asus W90 may just eventually have had the potential, but this wasn't exhausted.